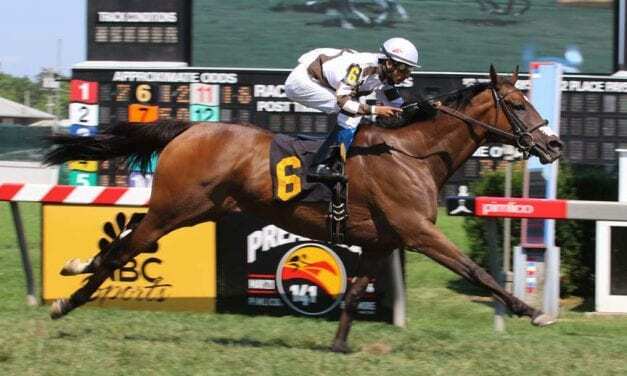 River Gal won the Jamestown Stakes today at Laurel Park, the latest in an equine family that’s been very good to Morgan’s Ford Farm. 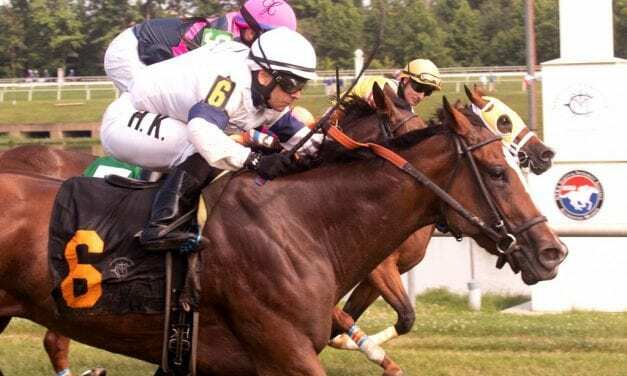 Three-year-old Altamura won her fourth consecutive race in the Oakley Stakes but was vanned off after taking a bad step in the gallop-out. 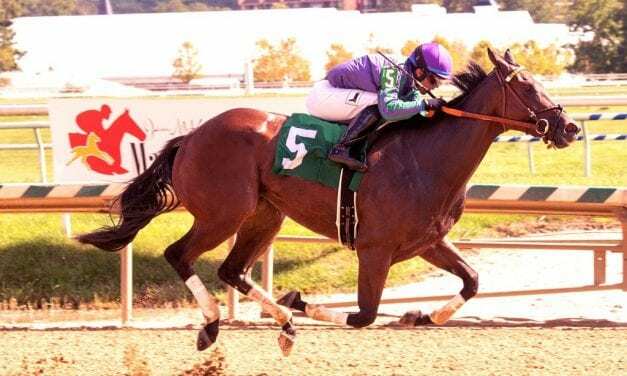 Four Virginia-bred stakes were taken off the turf at Laurel last Saturday – but owners, trainers, and jocks were undeterred and the show went on. Glenn Eickhoff, breeder of Evans Stakes winner Sticksstatelydude, got his start with a different horse breed: the Budweiser Clydesdales. 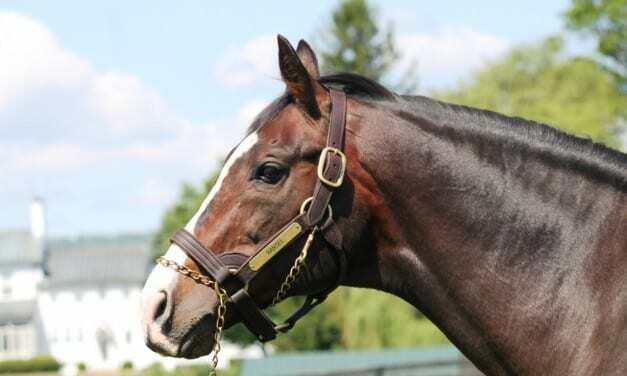 John Stephens broke the great Barbaro, that being his main business, but had never trained a stakes winner until Altamura scored today at Laurel Park. 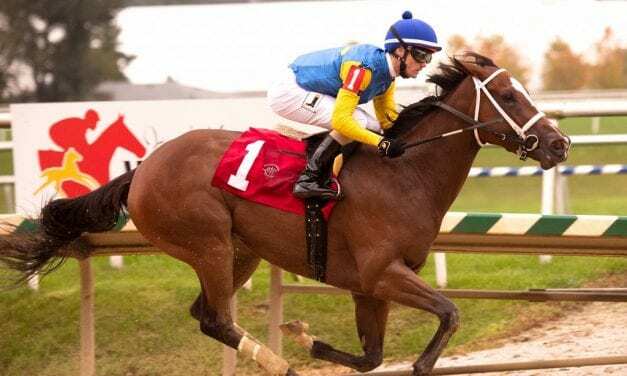 Two Notch Road, now 11 years old and having earned over $500,000, heads the field for Saturday’s White Oak Farm Stakes at Laurel Park for Virginia-breds. 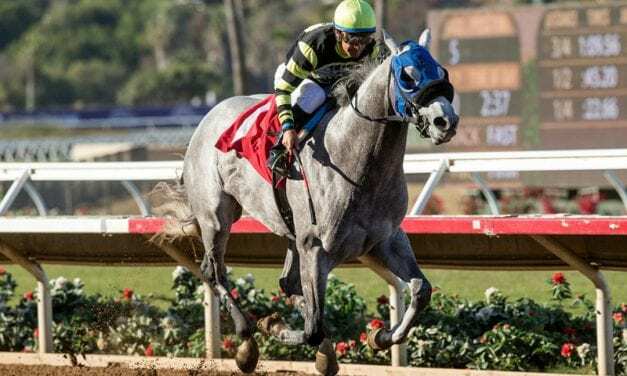 Three-year-old Greyvitos survived the San Luis Rey fire and later had to undergo surgery. 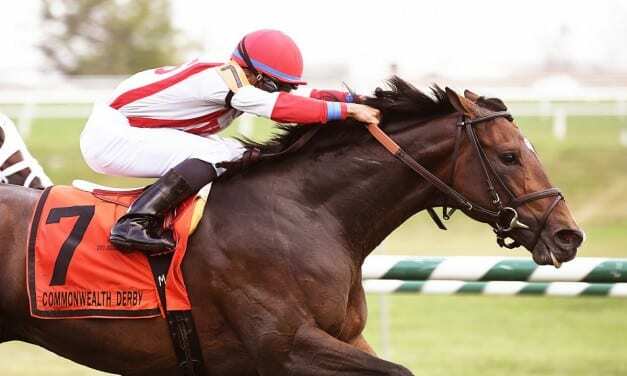 Back on track, he’ll tackle the Pat Day Mile at Churchill Saturday. 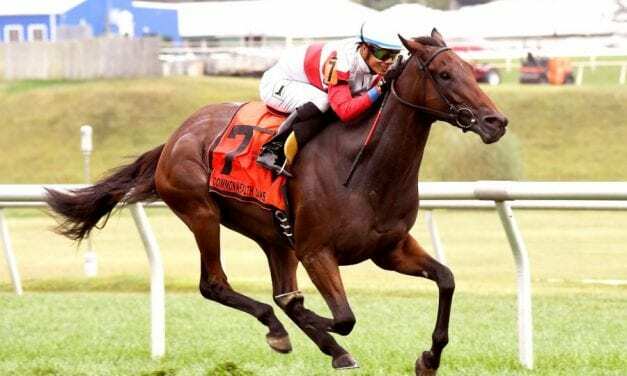 Virginia-bred One Go All Go and Virginia-raised Sadler’s Joy will meet again as two logical contenders in Saturday’s Pan American Stakes at Gulfstream Park. Aptly named for more than one reason, Long On Value will look to be a bargain yet again Saturday at Royal Ascot. 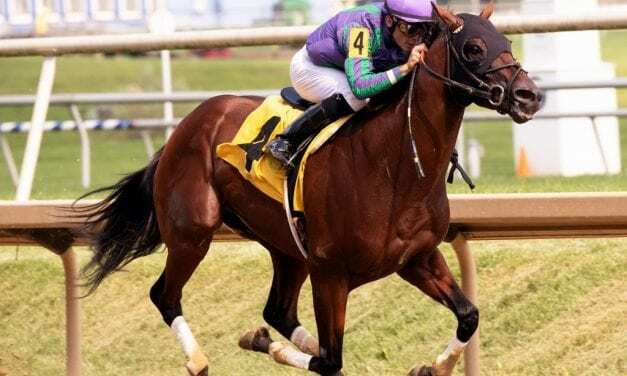 Hansel, the Virginia-bred who took the 1991 Preakness and Belmont Stakes, has been euthnanized as a result of the infirmities of old age. 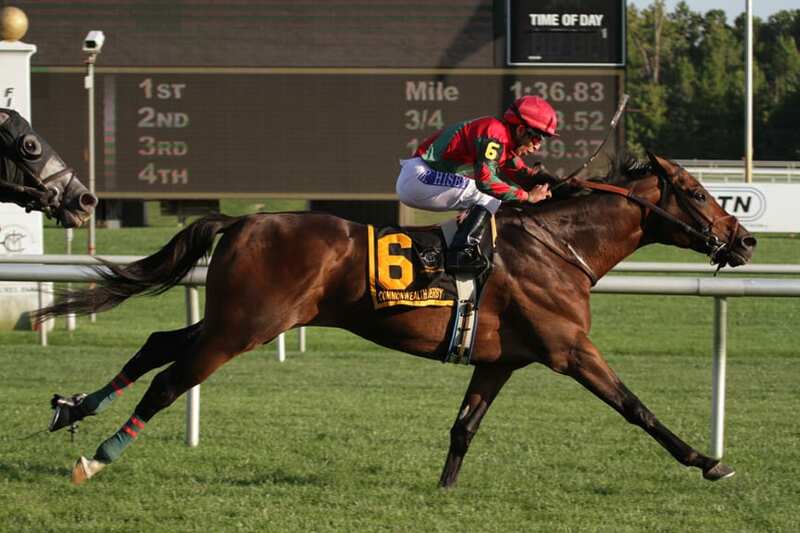 My Impression made a good first impression on Laurel racing fans, sweeping to a win in the G3 Commonwealth Oaks. 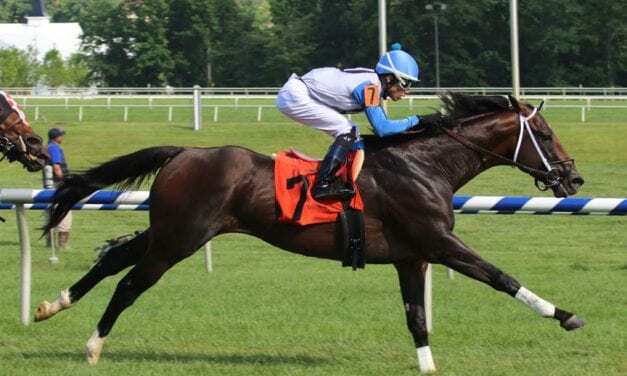 Deeply Undervalued earned the first stakes win of his brief career with a one-length score in the Grade 2 Commonwealth Derby today at Laurel Park.